Teamsters Local 700 ratified the second contract for Community Service Officers and Police Records Staff in Lombard. Through their Teamster contract, the members will receive an 8 percent salary increase over three and a half years and will receive retroactive pay from May 1 through December 2014. Local 700 represents 17 members with the Lombard Community Service Officers and Police Records staff. Additional benefits secured include increased bankable comp time for front desk clerks and community service officers, as well as the ability for part time members to earn compensation time for all time worked above their regularly scheduled hours. Teamsters Local 700 members with the Grundy County Emergency Telephone System Board Dispatchers ratified their first Teamsters contract in December. The Teamsters secured a 17.5 percent wage increase for members over the life of the contract, and retroactive pay going back to 2012 plus a $500 signing bonus for each member. The Grundy County Dispatchers were formerly represented by the Metropolitan Alliance for Police before they chose Teamsters representation in April 2014. 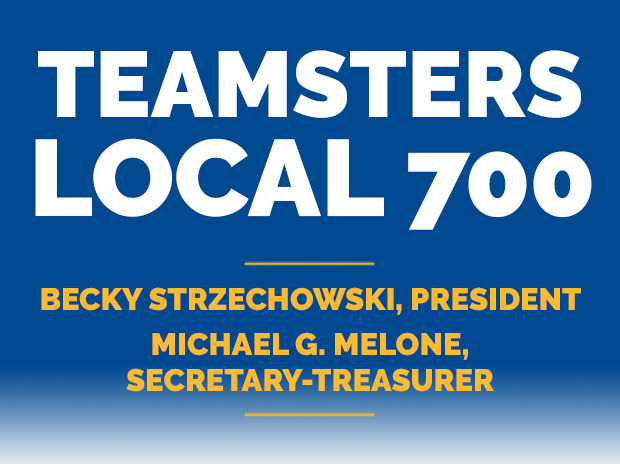 Local 700 members with the Avoca School District in Wilmette ratified a successor Teamsters contract, increasing their benefits and protecting their rights on the job. The members ratified a three-year contract that brings an 8.25 percent wage increase over the life of the contract, retroactive to May 2014. In addition to securing a pay increase, Avoca School District members will receive a $100 annual boot allowance and improvements in their life insurance benefits as outlined in the contract.